We can all agree that politically, 2017 was a boring year: 365 days of nothing but the monotony of watching a woeful government led by a spineless prime minister simply meandering aimlessly along. After the Abbott years, maybe we all needed the rest! In its five years of publishing political articles, those most popular have usually been about political leaders – of which Tony Abbott in years gone by was a standout. In 2017, however, our most popular articles were those about unfairness and hypocrisy. (The Top 5 is based on the number of views only. It does not take into account the number of comments or the post’s popularity with other online media sites such as Facebook or Twitter). Number One … The LNP Welfare Card: the true facts exposed. Corruption disguised as philanthropy!, by Michael Griffin. However, the Ministerial decision to award the contract to Indue is not excluded from review under the Administrative Decisions (Judicial Review) Act 1977 (Cth). It may be possible to challenge the award of the contract to Indue under that Act on grounds of ‘unreasonableness’ and, perhaps, ‘bias’. The decision was ‘unreasonable’ on the basis that the trials were not completed or their outcomes assessed before the contract was awarded to Indue. This means that the decision to award any contract to Indue at the time it was awarded had no factual basis or evidence to support the alleged purpose for the card programme or, hence, to provide any reason to award a contract. That is, no reason existed or relevant facts regarding the appropriateness of the card programme were known by the decision maker when awarding the contract to Indue. On that basis, the Minister’s decision to award the contracts to Indue was ‘unreasonable’ at the time the Minister made it and, on that basis, that decision should be reversed. The decision was ‘bias’ because no open tender was used to award the contracts and because Indue is a donor of the Liberal Party and its members are LNP members or supporters. Hence, when awarding the contracts for the issue, implementation and management of the welfare card programme, the Ministerial decision-maker preferred Indue to other possible suppliers due to the association of Indue with the LNP, that is, the political party in which the Minister for Human Services, Allan Tudge, who made the decision to award the contract to Indue, is also, necessarily, a member. As is Larry Anthony one of the beneficiaries of these contracts. Number Two … The curious incident of the bigot in the Senate, by Damian Smith. However, there are times when one must stare into the abyss. I’ve built my career around being on the spectrum, on de-stigmatising a condition that doesn’t render you inferior – just different. I’ve tried to make myself an example of achievement, that being on the spectrum doesn’t limit you and can in fact empower you, that you can be ‘normal’ if you want to be, but more importantly that there’s no need to be normal at all. And in this capacity it is incumbent on me to retort. I also went to a public school. One with something of a reputation. A school that stands to gain a lot from the Gonski program. School was a brutal experience. Aside from the regulation systemic bullying, there were the problems stemming from lack of funding. Our classes would regularly contain over thirty students, sometimes two to a desk. Half of our classrooms were temporary demountables, lacking heating in the winter and pushing 35 degrees in the summer. Hardly ideal conditions for learning in the formative years of your life. In this post-apocalyptic hellscape of a high school were students held back? Were students denied the attention because of the disruption of their peers? Of course they were. Were the students causing these disruptions the ones with special needs? Absolutely not. In my experience it wasn’t the special needs students who were the problem at all. The problem was the idiots. The racists, the xenophobes and homophobes; the kids who were terrified of anything different, who translated that terror into anger and violence. Does this sound familiar, Senator Hanson? Number Three … In the words of Julie Bishop, “You’re not a celebrity, you’re an elected representative”, by Kaye Lee. In 2007, Federal Education Minister Julie Bishop accused Deputy Opposition Leader Julia Gillard of behaving like a “fashion model or TV star” rather than a politician. Ms Bishop said posing for magazine covers was “not my style”. “Of course, people want to know more about you, but I don’t think you should be courting that celebrity status as if you’re a fashion model or a TV star, because you’re not,” she said. Move along a few years to when Julie is “living the dream”, as she put it in an interview with Who magazine in December 2014. “I can’t imagine a better job than the one I have,” she said as she posed for the magazine featuring an article where she “talks fashion, running, and style”, having also done a cover shoot for Harper’s Bazaar the previous month. In 2015, it was Vogue. It seems Ms Bishop now considers herself very much a celebrity. Number Four … Compare and contrast: Sussan Ley and Centrelink punters, by Jennifer Wilson. Number Five … Fairfax and Centrelink unite in an unprecedented move to publicly persecute one woman, by Jennifer Wilson. Early in February, writer and blogger Andie Fox published an account of her interactions with Centrelink over a failure by her ex partner to submit tax returns that led to the department issuing her with a debt notice for over-payment of Family Tax Benefit. It’s a harrowing account and it resonated with very many people who’ve endured the tortuous process of attempting to explain their situation to Centrelink, after being notified of debt they do not carry. As you may recall, Centrelink is responsible for the unprecedented failure of an automated system that has harassed, threatened, engaged debt collectors and otherwise hounded citizens who have no debt, or a good deal less debt than the department claims. On Monday, Fairfax journalist Paul Malone published an article titled Centrelink is an easy target for complaints but there are two sides to every story. 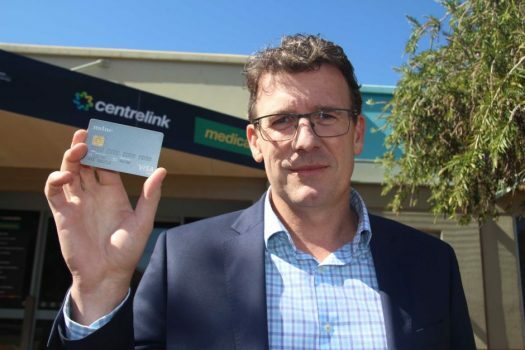 The article contains the private details of Ms Fox’s interactions with Centrelink, provided to him by the department with the authority of the Minister for Human Services, Alan Tudge. Tudge later triumphantly tweeted the article, which contains details Ms Fox contests. Special mention must go to Michael Griffin whose article Astounding stupidity! Turnbull Liberals award contracts for the anti-gambling Welfare Card to gambling interests! finished in sixth place … with only three less views than the fifth spot. And a big special mention must go to John Lord, who in April last year reached the outstanding milestone of one million views. Well done, sir. And even bigger special mentions to John Lord, Kaye Lee and Rossleigh for their prolific output of outstanding articles. And last, but not least, huge special mentions to every author who published articles on The AIMN in 2017. Anyone of those could have been, and deserved to be, in the Top 5. Three cheers for all the writers at AIMN. For they are indeed jolly good fellows. But that horrendous Hanson picture header is vomit inducing. Ah, Sussan (how precious that first name is) Ley, who in her spare time was hired to play Annabelle the possessed doll and she didn’t even need makeup. Hanson was a poor choice, Phil. I had it changed. The year 2017 was characterised by alternative facts. So congratulations to Michael Griffin for his contribution. A worthy winner. Thank you AIM contributors for amazing informative articles during 2017 may you continue to expose the injustices and falsehoods of the Evil within our society throughout 2018. I like the end-of-year roundup … well done Team, most impressive! Has the ring of an annual Political Darwin Awards about it, don’t you think? Only five years – I feel I’ve been reading these pages forever. I use Kaye Lees’s facts to counter ‘facts’ in discussions with friends. I then get told by said friends that I read too much!!! I just shared this page to FB only for it to show up with the aforementioned pic of Pauline Hanson 0_0 rather than the Indue card-holding man. I ended up removing the preview and just posting the text link, as I couldn’t cope. Another great AIMN article! Well done to all & especially to the frequent article writers–John Lord, Kaye Lee, Rossleigh, Bimoy, Joseph Carli etc, ALL have contributed greatly to my enjoyment & enlightenment etc. Happy New Year to you all & please keep on writing!